I love my backyard swing. 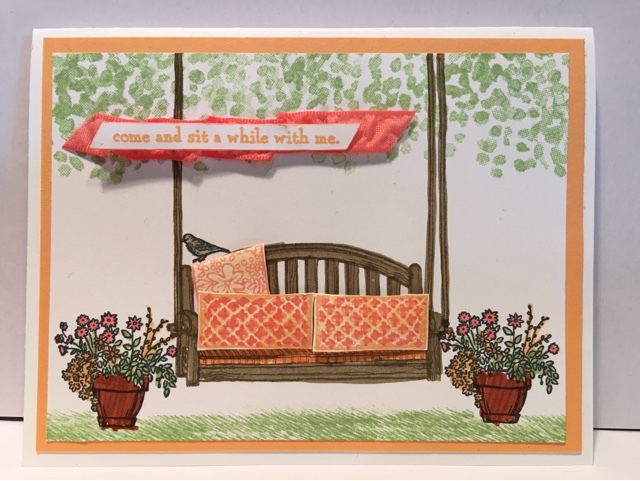 The "Sitting Here" stamp set reminded me of the joy I find outdoors on my swing. Here I added a lap blanket and birdie to the design. Isn't it fun? 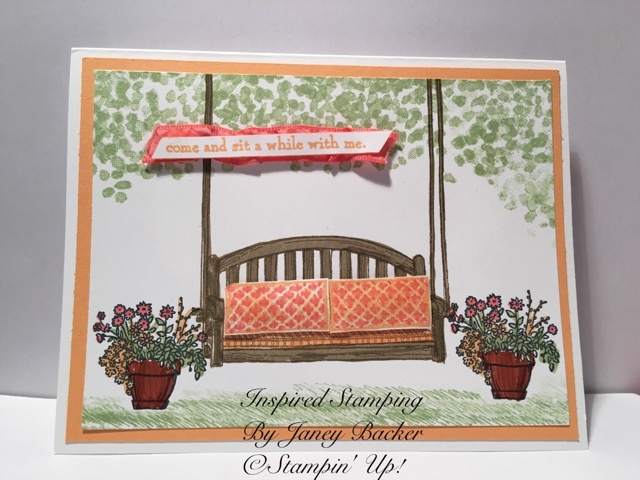 This set has beautiful flower pots and stylish cushions which are really fun for coloring with our Stampin' Up! markers. This project was my submission for our new catalog team swap. I worked the pillows with a Bone Folder to create a fluffy, plump 3-d effect with extra Stampin' Dimensionals to give the lift of thick cushiony pillows. Don't you want to sit outside and swing under a shady tree? I hope you will also want this wonderful stamp set. Please shop with me personally or at my online store. All the supplies for this project are listed below. Thank you for visiting my blog today!